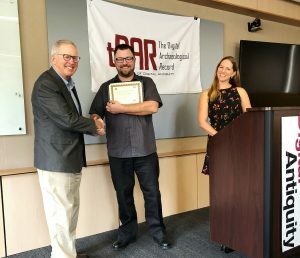 In 2017, Arizona State University’s Center for Digital Antiquity, in partnership with the Amerind Foundation, was awarded a two year National Endowment for the Humanities grant (award #PW-253799-17) to build the Digital Archive of Huhugam Archaeology (DAHA) within tDAR. As part of that effort the DAHA team developed a 16 question survey to assess the relevant information-related needs of some of DAHA’s key user communities: archaeologists and others working in cultural heritage management who are concerned with Huhugam archaeology. The results are in and just published in the “Reports in Digital Archaeology Publication Series.” Reports in Digital Archaeology is an online publication series devoted to issues regarding research and practice in digital archiving of archaeological materials and archaeologically related data. The report is described in more detail, along with more information the DAHA project in a recent blogpost. 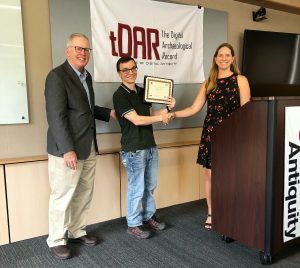 On Saturday, July 14th, staff of the Center for Digital Antiquity (DA), the Pat Tillman Veterans Center, and the Environmental Research Group/New South Associates (ERG-NSA), along with family members, celebrated the achievements of Arizona State University (ASU) student veterans who have worked as digital curators in the Digital Archaeological Record (tDAR) Veterans Curation Program (VCP) at ASU. The veterans (Chris Frady, Herminio Meneses, Nicholas Rudolph, Tyler Sutton, and Cole van Roeder) were the first student-veterans to work in the tDAR VCP program. Their success and substantial achievements have encouraged the continuation of including student-veterans in the tDAR VCP this coming year. 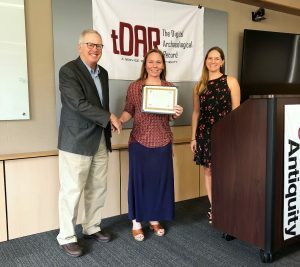 Also recognized at the ceremony was Katie Toye, an ERG archaeologist who participated in the tDAR VCP program in 2016. During their time at the Center, the student veterans made huge progress in curating over 1,126 documents, 2,234 images, and 386 datasets which span over 12 USACE U.S. Army Corps of Engineers districts. Their hard work resulted in large amounts of data from the VCP-rehabilitated collections being made more widely available to the public and, furthermore, making them accessible for education, research, and modern archaeological investigations. 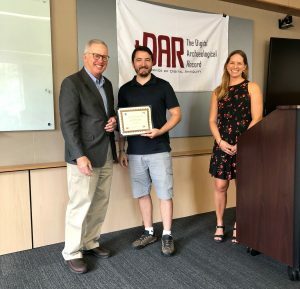 Individually, each of the tDAR VCP team made significant contributions to the program. All of the Digital Antiquity staff are grateful for their assistance! For more information on each of the students honored, short bios can be found below. We wish these students all the best in their future endeavors; we know they will go on to do great things! We are also thankful for the wonderful folks at ASU’s Office for Veteran and Military Academic Engagement and the Pat Tillman Veterans Center, in particular, Nancy Dallett, Steven Borden, and Michelle Loposky. They assisted us in our search for candidates for the program, publicizing the overall digital curation efforts, and they continue to provide support, not only to the student veterans working on this project, but all of the student veterans at ASU. We will soon be searching for a new group of student veterans for another digital VCP project and encourage all who are interested to apply. Stay tuned for more information! The Veterans Curation Program (VCP) is a program developed and funded by the Mandatory Center of Expertise (MCX) for the Curation and Management of Archaeological Collections (CMAC) of the US Army Corps of Engineers (USACE). The VCP was created to carry out two important missions: (1) providing veterans with a path from military service to the civilian workforce; and (2) to process and archive physical archaeological collections and related data for which the USACE is responsible in order to preserve them and make them more widely available to the public. Much of the VCP work occurs in three laboratories run by New South Associates where archaeological collections that have languished in storage, some of them for decades, are rehabilitated and made useable. At the labs artifacts, samples, and other materials are cleaned, organized, and recorded. The rehabilitation of the physical collections creates large amounts of digital data (paper records that are scanned, new digital photos of artifacts, etc.). Copies of these digital data will be kept with the physical collections, of course, but digital data also can be made much more widely available as well. Here is where the Center for Digital Antiquity and the VCP come together. 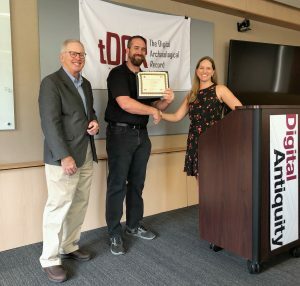 Digital Antiquity, in partnership with VCP and ASU’s Pat Tillman Veterans Center, employs student veterans to digitally curate the USACE archaeological collections by adding them to tDAR, a digital archive for archaeological and cultural heritage data and information. Through the tDAR website, much of the information about the VCP-rehabilitated collections can be discovered, accessed, and used for new research, education, resource protection, public interpretation, and other appropriate uses. By making these data and related information publicly available (with appropriate limits on access to some kinds of information) the USACE is fulfilling its legal obligations under various federal statutes and regulations. Chris joined the Digital Veterans Curation project in 2016. He is a veteran of the US Air Force and served in active duty between 2006 and 2014 before joining the reserves. He was stationed in Okinawa, Japan and Washington State and was deployed to Qatar, Kuwait, Afghanistan and Uganda where he worked as an Aircraft Electrical and Environmental Craftsman. He notes his most rewarding experience during his service in Uganda was when he delivered aid to the Central African Republic and assisted in evacuation of individuals from South Sudan. At ASU Chris studied Psychology and received a Bachelor of Arts in 2016. At present he is completing a Bachelor of Applied Science in internet and web development. Chris is the developer and manager of our tracking system, which has evolved from a simple Google spreadsheet to a more robust Microsoft Excel sheet in his time here. His eye for solving workflow problems with technical solutions has been a huge asset to the team. He looks forward to a career in user interface or user experience design. We know he’ll be great! A California native, Herminio joined the Digital Veterans Curation project in 2016. A veteran of the United States Army, he served as an Army specialist from 2011 to 2014, where he, among other things, conducted field training exercises in map reading and land navigation skills using topographic maps and other specialized tools. These activities fostered in him a strong interest in geography and cartography. 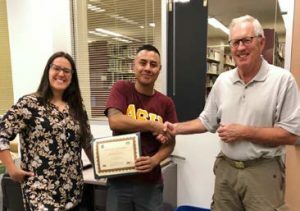 Though he had earned a Bachelor of Arts in English from California State University, Los Angeles prior to his Army service, he came to ASU in 2015 to pursue a degree in Geography with a focus on geographical information systems. As part of his work with Digital Antiquity, Herminio was a careful worker with fantastic attention to detail. He specialized in review and could be counted on to check his colleagues work before it was reviewed by a manager. At present, Herminio is employed by the US National Guard, and has been deployed to the Arizona border. He looks forward to a career where he can put his Geographic Information Systems skills to use. After serving 12 years (2002-2013) in the Army as a Counterintelligence Special Agent, Nick joined the Digital Antiquity team as part of the first batch of student veterans in the Digital Veterans Curation project. In the Army, Nick was stationed in various locations across the globe, including Germany, Iraq, Hawaii, Afghanistan, the Philippines, Thailand, Japan, the Horn of Africa, and all over the continental United States. His military career highlights include seeing the Ishtar Gates in Babylon and meeting interesting people from all over the world during his deployments. At ASU he earned a Bachelor of Science in Criminology in 2015 and is currently working to finish a Forensic Science degree. During his tenure in the Digital Veterans Curation project, Nick enjoyed working on the Stockton Lake and Iraq Mass Graves collections, which are now all active in tDAR. Though we were sad to see him go, Nick accepted a job offer in his desired career early this year. He currently is working at the Maricopa County Sheriff’s office, Major Crimes division, as a Criminal Intelligence Analyst. He hopes to use the skills he learned at Digital Antiquity to “continue school, teach, and continue working in Law Enforcement.” He currently uses the organizational and research skills he learned in his work investigating cold cases. One of the very first students to accept and begin work on the Digital Veterans Curation project, Tyler joined the DA team after having served 4 years in the Air Force as a Supply Journeyman. During this time he was stationed in New Mexico and Qatar, he notes the experience of becoming a Base Honor Guard member and receiving Marine Corps Forces Special Operations Command training as particular highlights. As a student at ASU he studied Criminology and Criminal Justice and graduated in 2016. Tyler recalls his favorite project at tDAR VCP as work he completed to curate reports that form the Iraq Mass Graves collection. We appreciated Tyler’s thoroughness and detail-oriented approach to his work. In addition, he was always up for learning new tasks. His assistance on writing tasks in particular, including blog posts about the VCP project and manuals describing the VCP tasks were a real asset. Tyler left the Digital VCP at the beginning of this year and joined Digital Antiquity full time as a Digital Data Curator working on a range of curation projects. He hopes to return to school to pursue graduate work in the future. Kay joined this cohort in the fall of 2016 as an archaeological technician from ERG. 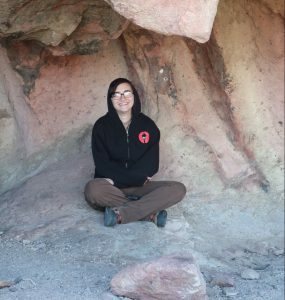 Though not a veteran, Kay has a background in emergency management, and experience working on archaeological field projects throughout the American Southwest. She is working on a Master’s Degree in emergency management. Her archaeological experience was a real asset on this project. We appreciated her knowledge and familiarity with CRM documents and data, which she shared with her VCP colleagues. Cole joined Digital VCP in 2018 and is our newest member of the cohort. Cole served in the US Army from 2002 to 2014 in a wide range of capacities including driver, mortar gunner, squad leader, section sergeant, platoon sergeant, and company law Non-Commissioned Officer. He was stationed in Germany, New Orleans, Texas, and Korea and deployed to Iraq. He was honorably discharged in 2014. He is currently working on Bachelor of Arts in Anthropology and History at ASU. At Digital Antiquity, Cole has quickly learned the ropes. His inquisitiveness and passion for the subject matter are his greatest assets. After he completes his BA, Cole would like to go on to pursue a PhD in Anthropology with a focus in Archaeology. The Digital Antiquity staff is excited to highlight our newest intern, Hannah. Hannah is lending her expertise to our team this month before returning to her graduate studies at New Mexico State University next semester. Hannah is assisting with adding content to tDAR for the Digital Archive of Huhugam project, as well as creating content in tDAR for her graduate program research. We are so happy to have Hannah on board and to provide the rest of the world with the opportunity to learn more about her! 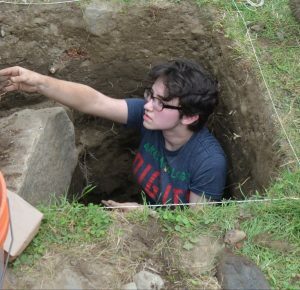 Previous Work Experience/Research Focus: Historical Archaeology in Spanish Colonial New Mexico and Colonial New England, Prehistoric Archaeology in Nicaragua. Publications/Career/Education Highlights: Lab Manager at the Enfield Shaker Museum Field School, survey work on the Camino Real de Tierra Adentro with New Mexico State University, 2017 SAA Poster on “Ceramic Compositional Analysis from Chiquilistagua, Nicaragua” with Drs. Justin Lowry and Jason Paling. Notable Personal/Professional Achievement: I helped publish literature magazines and host poetry mics all through undergrad, while studying in the Social Science Department in undergrad. Favorite Place to Travel To: My family’s cabin in Maine; no internet, no cable, limited phone service! Fun Fact(s): I sang at Carnegie Hall in New York City as a freshman in undergrad! I also had an American Revolution-era reenactment costume as a kid because I’ve always been a major history nerd! 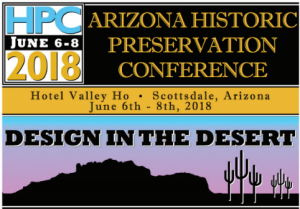 While The Center for Digital Antiquity will not have a booth this year, please email Francis P. McManamon (fpmcmanamon@asu.edu) or Leigh Anne Ellison (laellison@digitalantiquity.org) to set up a meeting.